Our membership is broad cross sections of dump truckers throughout Missouri in the transportation and construction industry. 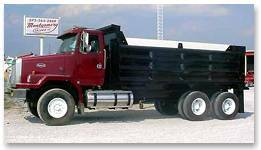 We have members who are single operators and those with large numbers of trucks and employees, some of whom are subcontractors in providing hauling services. We have over 200 dues-paying members who represent hundreds of trucks, drivers and associate members. Four officers and fifteen other members of the Board of Directors govern the organization. We have an Executive Director who acts as our legislative liaison. MDTA is distinguished in its membership of over-the-road haulers of dry bulk commodities. Our membership is statewide, and with the members and their employees, you will find us in communities all over the state.